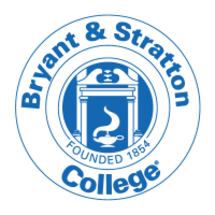 Bryant & Stratton College has been providing students with a strong, career-focused education for over 160 years. Our commitment to developing career-ready graduates continues today through our numerous academic offerings. Bryant & Stratton College offers many different academic programs at various degree types, including the diploma, associate degree, and bachelor’s degree levels. Covering areas of study that include business, technology, criminal justice studies, legal and human services, healthcare, and hospitality, our academic programs will help you take the next step toward career success.